Business logos samples pack. This is a set of vector logo & design elements, suitable for several projects. full editable. Vector realistic empty clear plastic cup. Example for office supplies, drinks, icon set - white, black, red. Closeup isolated on white background. Design template, clipart or mockup for graphics - web, app. Front view. 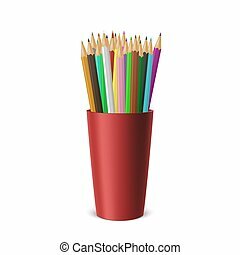 Vector realistic blank plastic cup-stand with a set of colored pencils. Closeup isolated on white background. Design template, icon, clipart or mockup for graphics - web, app. Front view. Vector realistic plastic cup. Example for office supplies, drinks, icon set. Closeup isolated on white background. 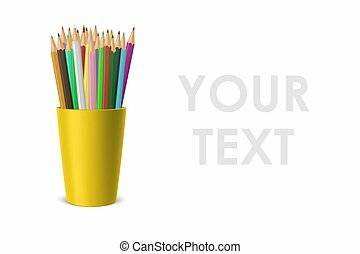 Design template, clipart or mockup for graphics - web, app. Front view. 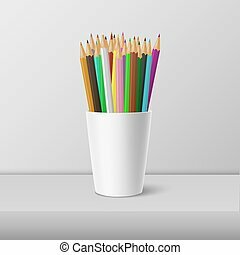 Vector realistic blank plastic cup-stand with a set of colored pencils. Closeup on white background with reflection. Design template, icon, clipart or mockup for graphics - web, app. Front view. 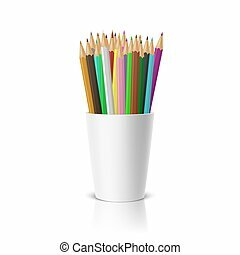 Vector realistic blank plastic cup-stand icon with a set of colored pencils. Closeup isolated on transparency grid background. 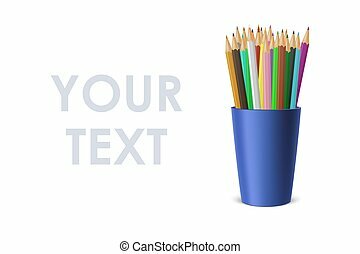 Design template, clipart or mockup for graphics - web, app. Front view. Simple and clean icon/buttons pack. 16 pieces suitable for any project. Full resizable and editable. Simple and clean icon/buttons pack. 20 pieces suitable for any project. Full resizable and editable. Simple and clean icon/buttons pack. 100 pieces suitable for any project. Full resizable and editable. This is a simple, elegant and professional pack of vectorized icons and symbols suitable for your web, mobile and business projects They?re 25 pieces easy to edit and resize You can resize them to any size you want without lose the item quality.